I will surely ruffle a few feathers when I say that parents, especially parent-retirees are not required to leave an inheritance for their children. Sure, Proverbs 13:22 says “A good man leaves an inheritance for his children’s children…” But is inheritance limited to only material possessions? Of course not! Dictionary.com defines inheritance in several ways. So it is clear that inheritance is not all about money or property. Nonmaterial things like knowledge, history, customs, traditions, faith, and laws are equally important when it comes to inheritance. Moreover, inheritance is not necessarily received only at the end of the predecessor’s life but throughout it as well. There’s also a practical reason why parents should also not immediately divvy up their material possessions among their children, especially upon their retirement. The cost of retirement has gone up for two reasons: inflation and longer life expectancies. At PFA’s EnRich personal finance training programs, we tell parent-retirees to keep their material possessions first. The objective is not to spend it all on themselves but to wisely budget wealth throughout the three stages of retirement; the go-go years, the reflective years, and the care years. In addition, we harp on the need to shorten the go-go years and, whenever possible, lengthen the reflective years or period of simple yet meaningful living. A prolonged reflective period will allow wealth to still grow and pay for the expensive care years, the period where there is an accelerated dissipation of wealth and where children will themselves be financially challenged in starting their own families. Rather than be a financial burden to children, therefore parent-retirees should manage their wealth well and be self-supportive. And this is not being selfish at all. If you want to know more about PFA’s unique EnRich personal finance training programs, visit www. 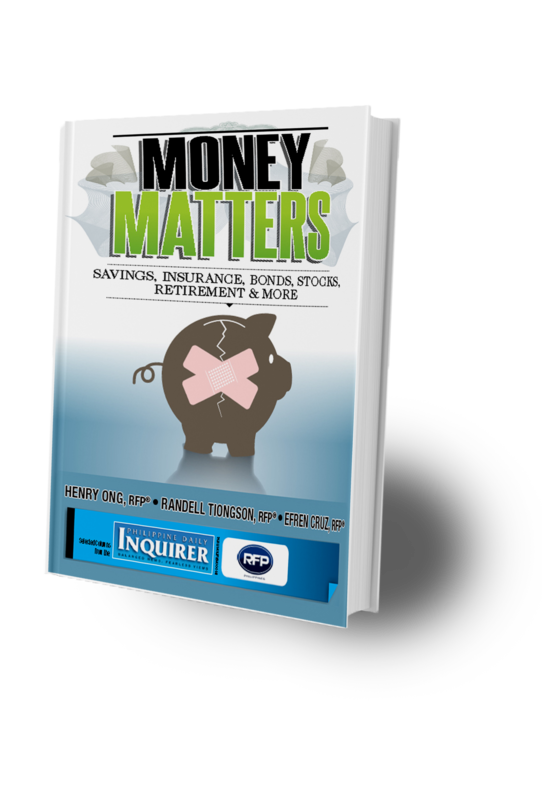 personalfinance.ph, email info@personalfinance.ph, call (63-2) 216-1541 or SMS/call (63-917) 505-0709. Our website also has free personal finance tools and articles. You may also join our free personal finance discussion group at Income Tacts.